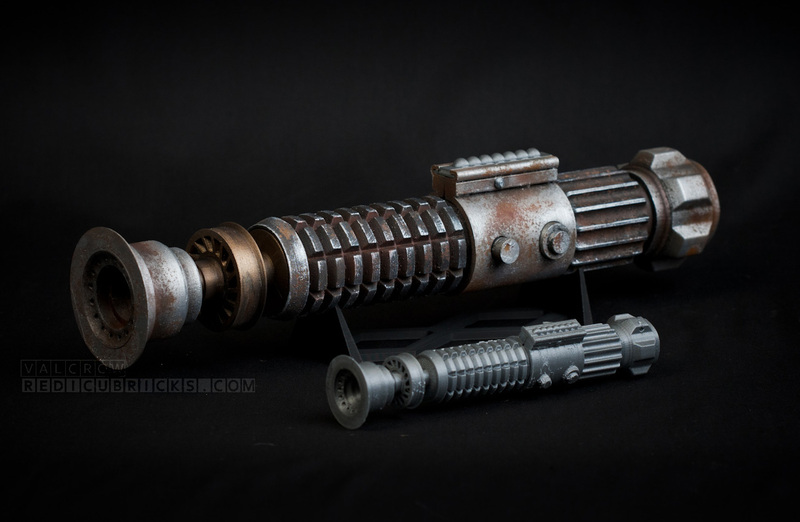 Hand Painted #3DPrinted Lightsaber « Adafruit Industries – Makers, hackers, artists, designers and engineers! 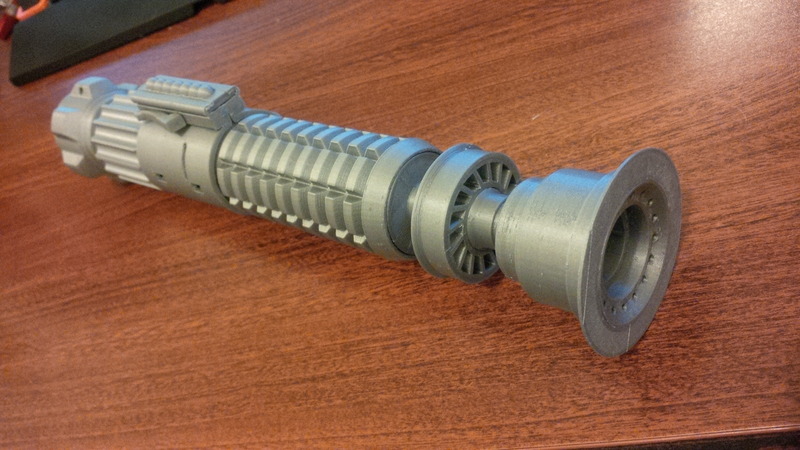 Ultimaker shares the design files for an Obi Wan Lightsaber! 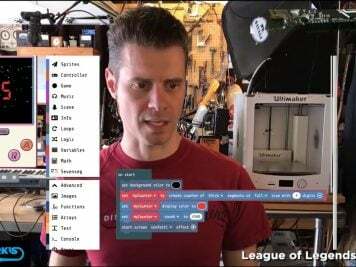 This awesome print took 22 hours with a 0.12 layer height, to make it easier to paint. Hand painted by Valcrow of Redicubricks, a painting tutorial is in the works! I made a lightsaber for May the 4th be with you day! And here’s the final piece! 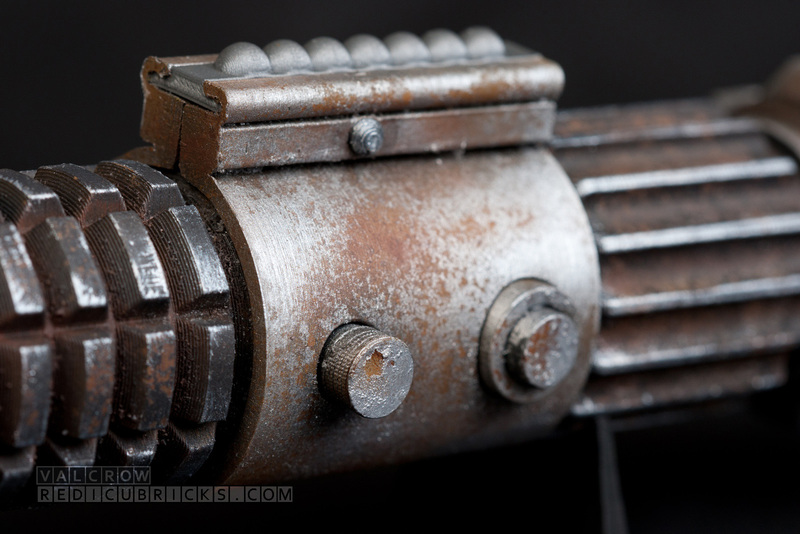 (details on how it’s made to come later) I went for the rusty weathered look, 3D printed stuff lends itself to that I think. I printed a glow in the dark PLA blade and illuminated with a 1w blue laser… which appropriately looks like a lightsaber by itself. One of our NeoPixel rings would give it a super bright glow! There seems to be some mix up in your post! pagaines is the creator of the wookie Scalper on thingieverse (http://www.thingiverse.com/thing:92824) which is a fairly different design than shown in the pictures. Ultimaker / Youmagine is the Provider of the model shown. Valcrow / Redicubricks (me) is the creator of the one you see in the pictures. The quote is actually of me and not pagaines taken from my site, redicubricks.com. Those neopixels would work well inside the blade! a laser is actually not quite ideal to illuminate the blade… not to mention slightly dangerous.